Home / Canon / S Series / Canon S400 / BCI-3C-M-YC – Guaranteed Compatible 3 Pack Of Colours – Full Yield 15ml each – Delivered FAST & FREE! 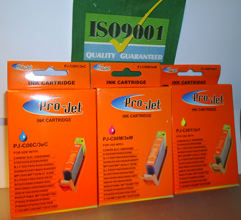 One each of Cyan, Magenta and Yellow ISO9001 Quality Guaranteed Compatible Ink Cartridges. If you prefer a different colour mix just let us know in the message box on the order page. 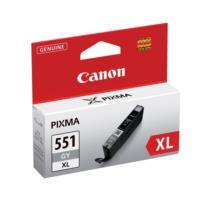 CLI-551XLGY – Genuine Canon CLI-551XL High Yield Grey Ink Cartridge – delivered FAST & FREE! 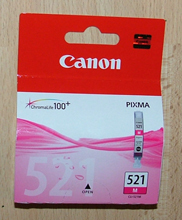 CLI-521M – Genuine Canon branded CLI-521M MAGENTA 9ml ChromaLife 100+ ink cartridge – DELIVERED FAST & FREE! 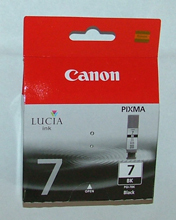 PGI-7Bk – Genuine Canon Black 25ml Pigment Ink Cartridge – delivered FAST & FREE!